Few things cause more trepidation and anxiousness to this reviewer as the words ‘Prog Metal‘. For every band that does it well, there are thousands trying to be the next Dream Theater, Tool or Opeth; tragically falling on their own pretentious swords. Thank (insert relevent deities here) for Distorted Harmony then. The over-arching impression of Utopia is one of sublime beauty. Here is a band that understands that no matter how complex or rhythmic your music, all things must serve the song. Every instrument has its’ moment to shine, including multiple keyboard solos that are actually listenable (Bodom take note)! Songwriting aside the strongest element of Distorted Harmony is Misha Soukhinin’s heart-rendingly gorgeous voice. A cross between Maynard James Keenan (Tool) and Jonas Renkse (Katatonia), with hints of Muse and unusual melodic lines thrown in as a welcome bonus. The song durations are unsurprisingly long, as to be expected from this genre, and yet your attention is held throughout. I would recommend listening to this album as a whole, as it offers a much more rewarding experience digesting as a complete ‘works’. The production, as practically everything else on this album, is flawless, and the band are offering it free from their homepage (although donations are welcome). Distorted Harmony have created a universally appealing 6 track release, it’s jazz and classical influences colliding with a very Western, epic style of songwriting – somewhat surprising considering the band all hail from Tel Aviv, Israel. 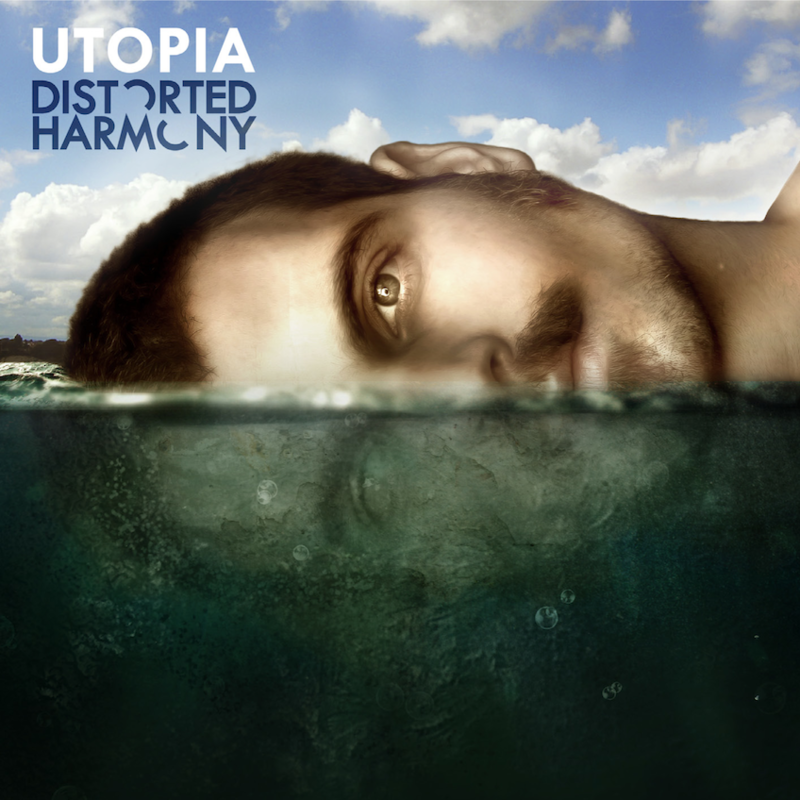 ‘Utopia’ is well worth checking out, an emotional journey of an album and, as previously stated, sublimely beautiful. Maybe next time I hear the dreaded ‘Prog Metal’, I’ll think back to Utopia and not be so cynical. This entry was posted on 15th June 2012 at 8:08 pm and is filed under CD, Metal with tags distorted harmony, Dream Theater, Israel, Katatonia, Opeth, Progressive Metal. You can follow any responses to this entry through the RSS 2.0 feed. You can leave a response, or trackback from your own site.